Novel Approaches for Treating Pain in Children. “Good pain management in children, especially those at end of life, is a crucial component of palliative medicine. The current review assesses some of the new and/or innovative ways to manage pain in children. The article focuses on some recent medications/pharmaceutical options such as cannabinoids and also innovative ways to administer medication to children, such as intranasal and inhalation. Prospects for the Use of Cannabinoids in Oncology and Palliative Care Practice: A Review of the Evidence. 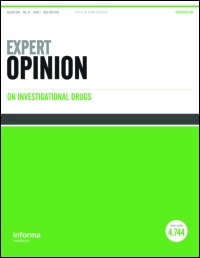 Cannabis for cancer – illusion or the tip of an iceberg: a review of the evidence for the use of Cannabis and synthetic cannabinoids in oncology. “A flowering plant of variegated ingredients and psychoactive qualities, Cannabis has long been used for medicinal and recreational purposes. Regulatory approvals have been gained across a broad range of palliative and therapeutic indications, and in some cases, included in standard treatment guidelines. Areas covered: The use of Cannabis and cannabinoid-based-medicines in oncology is summarized in this article. Cannabinoids were classified according to natural and synthetic subtypes and their mechanisms of action expounded. The variability of available products is discussed in the clinical context and data regarding chemotherapy-induced nausea and vomiting, cancer-related pain, anorexia, insomnia and anxiety are presented. Moreover, immunological and antineoplastic effects in preclinical and clinical trials are addressed. Concepts such as synergism or opposition with conventional treatment modalities, sequence of administration and dosage, molecular cross-talk and malignancy-cannabinoid congruence, are explored. Finally, side-effects, limitations in trial design and legislation barriers are related. Cannabinoids in cancer treatment: Therapeutic potential and legislation. “The plant Cannabis sativa L. has been used as an herbal remedy for centuries and is the most important source of phytocannabinoids. The endocannabinoid system (ECS) consists of receptors, endogenous ligands (endocannabinoids) and metabolizing enzymes, and plays an important role in different physiological and pathological processes. Phytocannabinoids and synthetic cannabinoids can interact with the components of ECS or other cellular pathways and thus affect the development/progression of diseases, including cancer. In cancer patients, cannabinoids have primarily been used as a part of palliative care to alleviate pain, relieve nausea and stimulate appetite. In addition, numerous cell culture and animal studies showed antitumor effects of cannabinoids in various cancer types. Here we reviewed the literature on anticancer effects of plant-derived and synthetic cannabinoids, to better understand their mechanisms of action and role in cancer treatment. We also reviewed the current legislative updates on the use of cannabinoids for medical and therapeutic purposes, primarily in the EU countries. In vitro and in vivo cancer models show that cannabinoids can effectively modulate tumor growth, however, the antitumor effects appear to be largely dependent on cancer type and drug dose/concentration. Understanding how cannabinoids are able to regulate essential cellular processes involved in tumorigenesis, such as progression through the cell cycle, cell proliferation and cell death, as well as the interactions between cannabinoids and the immune system, are crucial for improving existing and developing new therapeutic approaches for cancer patients. Evidence for the use of “medical marijuana” in psychiatric and neurologic disorders. “Cannabis is listed as a Schedule I substance under the Controlled Substances Act of 1970, meaning the US federal government defines it as an illegal drug that has high potential for abuse and no established medical use; however, half of the states in the nation have enacted “medical marijuana” (MM) laws. Clinicians must be aware of the evidence for and against the use of MM in their patients who may consider using this substance. Publications were identified that included patients with dementia, multiple sclerosis, Parkinson disease, Huntington disease, schizophrenia, social anxiety disorder, depression, tobacco use disorder, and neuropathic pain.